25-year-old fashion blogger Nilu Yuleena Thapa who is the founder of BIG hair LOUD mouth, a fashion blog has been recently appointed as one of the 5 lead Vlogger for Lakme School of Style – India’s first fashion video magazine with Bollywood director Karan Johar as the Editor in Chief. Nilu was selected out of several bloggers who’ve been enrolled in the program from around the country. #fame, India’s leading talent led digital network, has pioneered another content coup by launching Lakmé ‘School of Style’. The show will not only give India its first ever video fashion magazine but, will also script film maker and fashion icon Karan Johar’s digital debut. 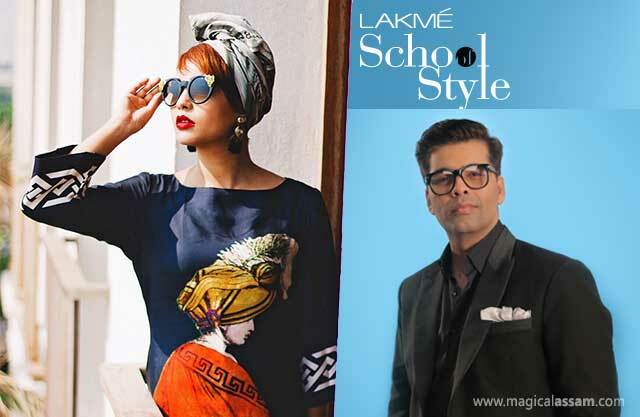 Lakmé School of Style is a first of its kind show that will not only bring the newest trends and happenings from the fashion world but in the process will also create new age fashionistas and idols. “Life has always been exciting since BHLM was founded! Though it is single-handedly run by me and Sanglyan helps me in producing all the images that you see on the blog. We’ve not for one moment considered the work we do as tedious. Infact, each time we enjoy and love producing the content. I love the work that I do (you rarely get to hear people say that) and every moment of my life is a blessing as I do exactly what I want, when I want without being answerable to anyone.Over the period of 2 years, BHLM have associated with many brands including Elle, Olay, Kazo and Hidesign etc.” said Nilu.